Saying 'Sauber' in a word association test with an F1 fan would likely elicit responses in the following areas: midfielders, solid, stoic, dependable, upstanding, non-contentious, somehow perennial. A rock in the middle of the F1 whirlpool. Nothing wrong with that, indeed the sport needs its sort. And somehow after several years as a fully paid up member of the piranha club its founder and former Team Principal Peter Sauber, probably uniquely, is virtually without an enemy in the paddock. Even the name is appropriate - Sauber means 'clean' in German. This year however the team financial plight has been eased apparently by investment from several Russian companies (though, against some expectations, it hasn't resulted in 18-year old Sergey Sirotkin getting a race seats, him getting a reserve role instead). Plus the 'Bernie money' for the excellent 2012 points haul will be on tap this campaign too. But things for Sauber didn't necessarily appear too flush early-on in testing, with the C33 in Jerez in Gary Anderson's words looking 'born a bit premature'. It was rather challenging for its drivers to keep under control, lacking as it did both front and rear end grip (understeer in turns turning into snap oversteer). It also looked to have unstable rear braking (there have been problems with the brake-by-wire system, possibly not entirely solved), and that the Ferrari power unit appeared more torquey than the Mercedes hardly helped. Sutil and Gutierrez both had crashes. And worse a new chassis had to be produced, possibly due to a front suspension or engine-mount pickup problem. Another regret for Sauber, at least in the immediate term, is that is that it doesn't have a Mercedes engine. And more traumatically it is a couple of its nominal rivals in the constructors' fight - Williams and Force India - that are among those given a serious boost by the German power. It can hardly be denied either that swapping Nico Hulkenberg for Adrian Sutil on the driving strength leaves the team down compared with 2013 also. But while the team isn't overloaded with cash it does boast a good technical team as well as a wind tunnel (a legacy of the BMW days) that's one of the best there is. Therefore, the team can be counted on to develop competitively as the campaign proceeds, as it did last year when it recovered from a tricky first half to be a consistent presence well inside the top ten (sometimes with both cars) after the summer break, thanks in large part to an effective exhaust solution. And the updates have been fairly rapid in their delivery in pre-season too, and they appeared to sort a lot of the car's handling problems. 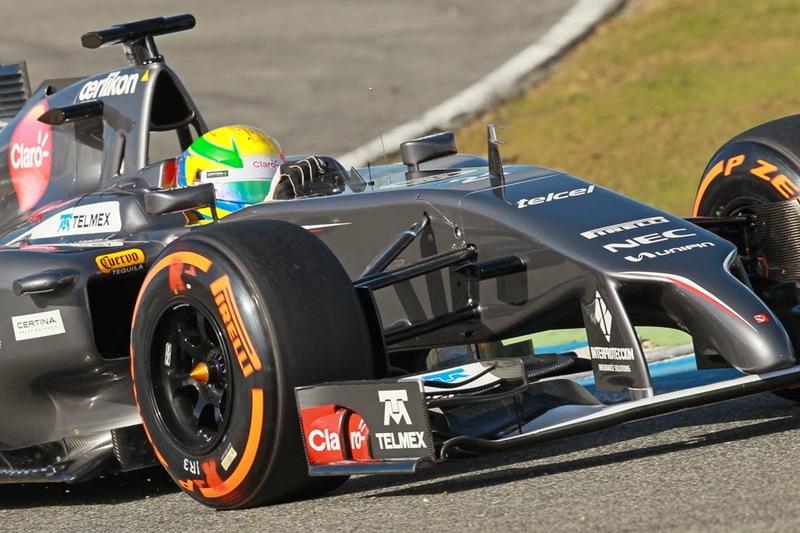 The machine looks to be reliable too, with Gutierrez sixth in the testing mileage list and Sutil eighth. And while an engine problem on the penultimate day meant that it could only complete a single lap, the team more than made up for it on the following, final, day, the two drivers getting 177 tours between them, which is reckoned to be some kind of record for the age of single car testing. Most place the Saubers just outside the top ten on pace, which should make them well-placed to score points via attrition from the off if they can make it to the finish themselves. And you can expect the team to be suitably stoic from there. The pay driver isn't quite what it used to be. Time was they would be associated with the likes of Giovanni Lavaggi - those who observers felt hardly met the minimum requirements of a driving licence let alone a superlicence (though I can hear a few screaming 'Niki Lauda' at this point). Now though there are those for whom while their money and/or associated commercial opportunities oil the wheels of their promotion, they also come possessed with decent records in the junior formulae. Not stellar or unrivalled ones perhaps; not those that would necessarily have ensured that they would have got their F1 chance without the financial considerations. But decent nonetheless. 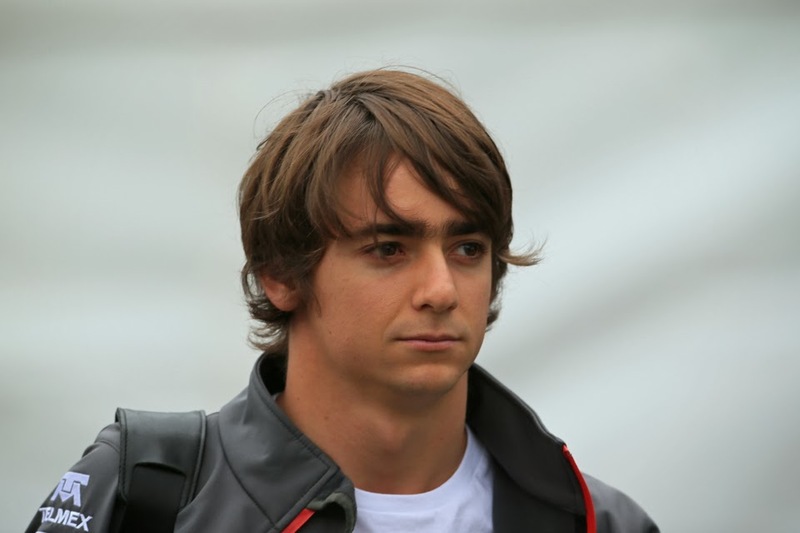 One such case is Esteban Gutierrez, who made his F1 bow in a Sauber last year. We started the year unsure of the extent that he was better than his accompanying opportunities for pesos (despite as mentioned a reasonable junior record, including P3 in the GP2 table and GP3 and Formula BMW crowns) and we ended the year still unsure. To repeat the point that I labour, we should not forget the unintended consequence of testing restrictions that the age of the rookie having 10,000 testing kilometres to their name Hamilton/Vettel style before they even first race is now a thing of the past. Often therefore it takes a number of race weekends for them to find their feet. But whatever was the case the first half of Gutierrez's debut year was inauspicious: made up mainly of first session eliminations in qualifying, race finishes in the teens and never getting into the same postcode as team mate Nico Hulkenberg. It was also stained by a major blot resultant of running into the back of Adrian Sutil early in the China race, the Mexican apparently declining to brake for the hairpin at the end of the long straight. However in his defence - and in addition to the point above - learning the ropes in a disappointing car and alongside a top-drawer team mate always was likely to back him into a corner somewhat. And come the second half of the year there started to be signs that - a bit like the experience of Hulk himself in 2010 - once he got mileage of around the 10,000km mark he would start to do himself justice. In Spa and Monza he showed pace on occasion but not at the vital times of either weekend. But Singapore seemed something of a breakthrough, qualifying in the top ten with the seventh fastest time (and out-qualifying Hulk, who admittedly had technical problems, as he did so). In Korea too he got into Q3 only to be bumped down at the start thanks to someone else's accident, but at Suzuka awaited his reward - and his best race of the year - with a seventh place finish for his (or any of the 2013 rookies') first points. He also was but 20 seconds shy of his team mate at the end, and all the while showed a willingness to race and assuredness when under pressure, including from Nico Rosberg late on. The Sauber team by this stage was also talking glowingly about his rate of learning and attitude. The problem was however that after this Gutierrez rather seemed to slip back towards his old ways. Hence our confusion. But he has got another year at Hinwil to give us a few more clues either way, Gutierrez saved apparently by the team's new Russian backers not after all insisting on a race seat for Sergey Sirotkin. Not yet anyway. And the look of horror on Monisha Kaltenborn's face when the prospect of a Gutierrez-Sirotkin line-up for 2014 was put to her in a television interview late last season left little to the imagination. But with Sirotkin nevertheless hanging around the place as a reserve driver, in combination with his own patchy debut campaign, Gutierrez does need a step up this year and to start to show his speed with greater regularity. Otherwise the probability is that F1 will turn its back on him. It didn't attract much comment, but late last year it was confirmed that the longest-running driver-team partnership in contemporary F1 aside from Felipe Massa and Ferrari was about to come to an end. 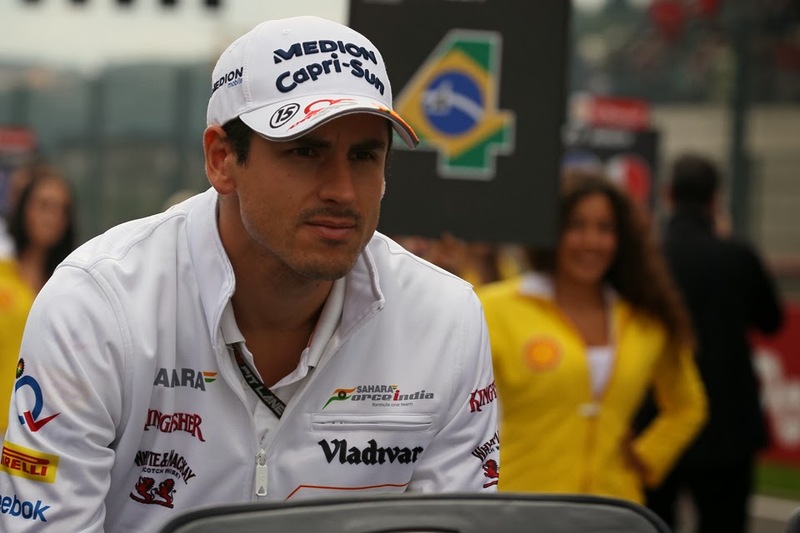 Yes, Adrian Sutil made the sideways step from Force India to Sauber for 2014, and in so doing leaves a collective with which he dates back all the way to 2006, and to its days as Midland when he did some practice outings. And since then via the Spyker phase before moving onto its current moniker only in his year standing down in 2012 did Sutil not race for the squad. Even though it was all change for Force India on the driver front for this year Sutil insists that his Sauber move was a proactive one, and that his deal at Hinwil was in place before Sergio Perez parachuted into his former seat. Whatever is the case though the switch had a slightly unlikely air about it, and not just because of Sutil's longevity at Silverstone: after all, he was outscored by almost two-to-one by his intra-team yardstick Paul di Resta last year (and di Resta's out of F1 on his ear). More broadly, impatient ruthless F1 has shown a recent tendency to discard those not conspicuously moving up the ladder or else bringing a load of cash (Sutil does bring some sponsorship but it's thought to be relatively small fry as these things go). Sutil by contrast has about as many lives as a cat it seems. But still, in Adrian Sutil Sauber has a German driver joining a German-speaking team, one who is based close to the factory, and who has a good turn of speed, lots of experience, as well as is fairly solid and reliable. He continued to perform that way last season even after a year out - he also won the drive after a face-off with Jules Bianchi which suggests there's not much wrong with his pace. Sutil's impressive drives in the 2013 campaign were reasonably numerous: he provided interloper services at the front in the season-opening race in Melbourne on the way to finishing seventh (impressive even if tempered by his presence among the leaders being slightly illusory given it owed mainly to a contrary strategy, and he only finished ahead of his team mate at the end thanks to a team order); in Monaco he was particularly combative on his way to fifth place, ambushing none other than Fernando Alonso - and at Station Hairpin... - along the way; he ran among the leaders for much of the British race as well as showed spirit in fighting his way to points in Belgium; and his marathon tyre longevity achieved in India to vault him up to ninth by the end was also noteworthy. And furthermore analysis of the best times of each weekend in 2013 showed that Sutil's were faster than team mate di Resta's on average over the year. Yet as mentioned somehow it totalled up to far fewer points than his stable mate - 48 to 29 - as well as being out-qualified 12 times to 7; thus there seemed a case that for whatever reason Sutil wasn't as adept at converting the pace that was there when it most mattered. Another legitimate criticism of Sutil is that, while he's improved on this front over time, there often seems a few too many scrapes in his repertoire too. This continued to be the case last year, evidenced by first lap contact with Massa in Bahrain, spinning in the Canadian and Korean races, a practice shunt in Japan which got him a five place grid drop because of gearbox damage as well as contact with Maldonado in Austin - that he rather disingenuously tried to blame the Venezuelan for, hoping presumably that his reputation would go before him.